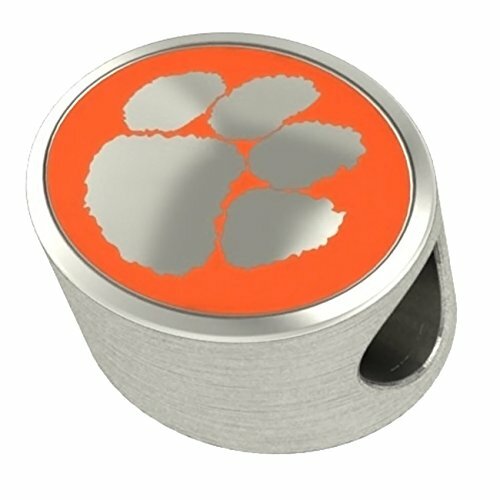 Are you a Tiger? Real fans will love what you find here. Everything on this page is for the fans. From sports fans to grads, this is all about the school! 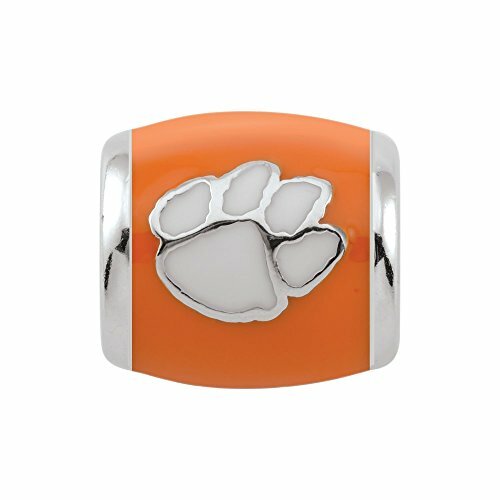 Let it show and show your support for your Tigers with these incredible Clemson Tiger Pandora Bracelet charms. Orange and Purple are the colors that you represent. 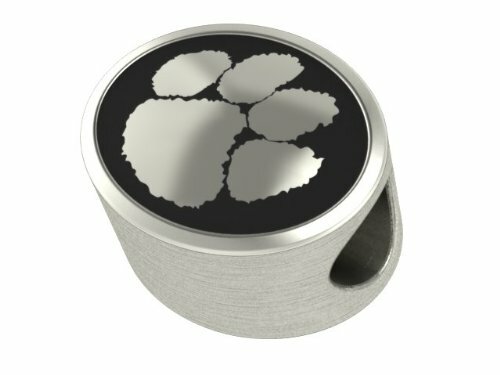 Whether tail gating at Memorial Stadium or at the local sports bar with fellow Clemson fans, everyone will know that you are a Tiger fan. 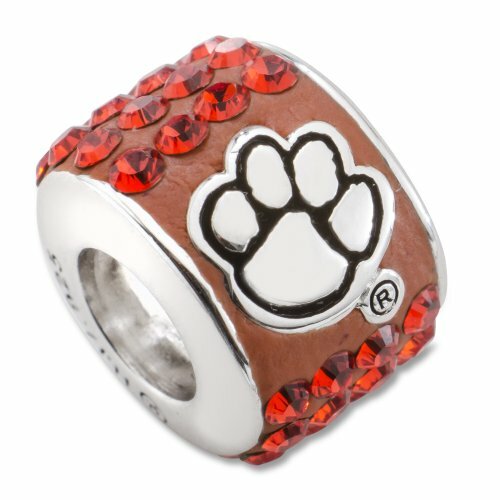 With the Tiger Paw on your Pandora Bracelet there is no denying that you are a Clemson University Tiger fan. 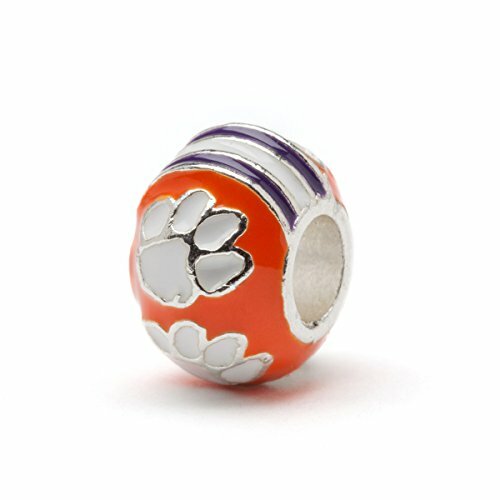 If you have a Pandora Bracelet or are looking for charms for someone else for their Pandora bracelet, these charms will make the bracelet shine with bright vibrant colors and sterling silver. 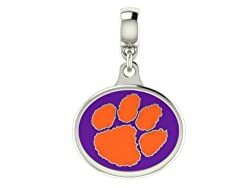 Most of the Pandora bracelet charms listed below are less expensive than the charms you will find at the jewelry stores. 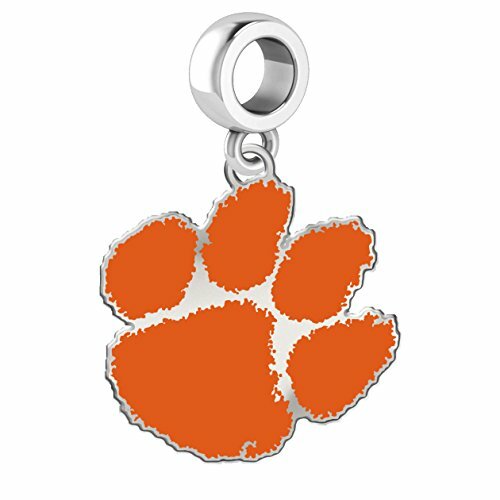 Show your Paws with this dangling Clemson Tiger Charm. Orange and Purple for life. 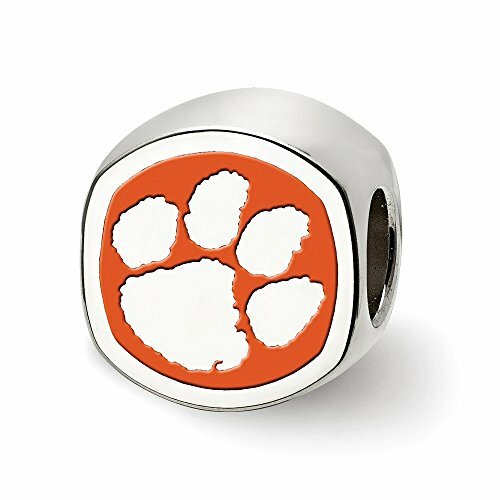 True Clemson fans know exactly how to show that pride. 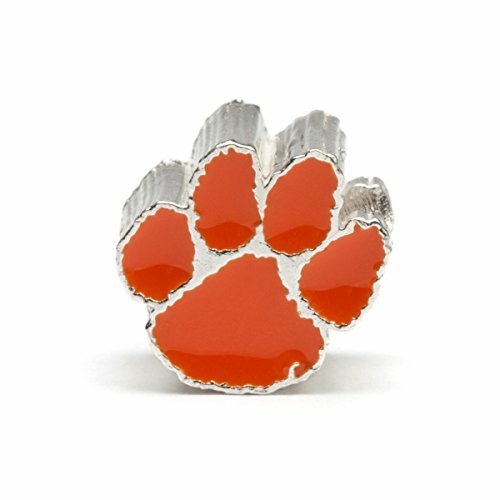 It has been said that they bleed orange. Playing at Memorial Stadium in South Carolina, they carry a long legacy. 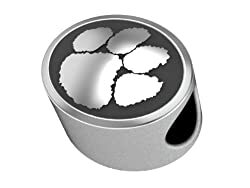 The Paw that is used for this logo was established July 21, 1970. 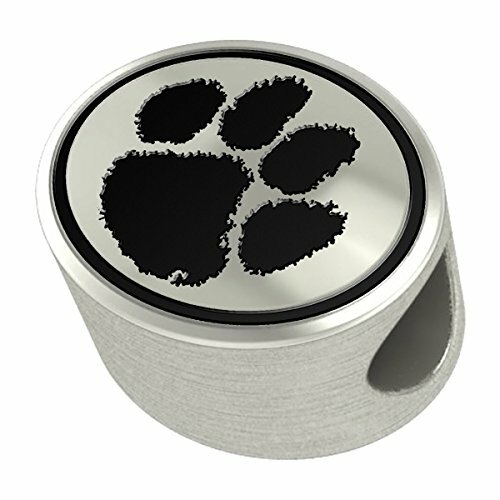 It came from a Bengal Tiger's paw print from the St Louis Zoo. 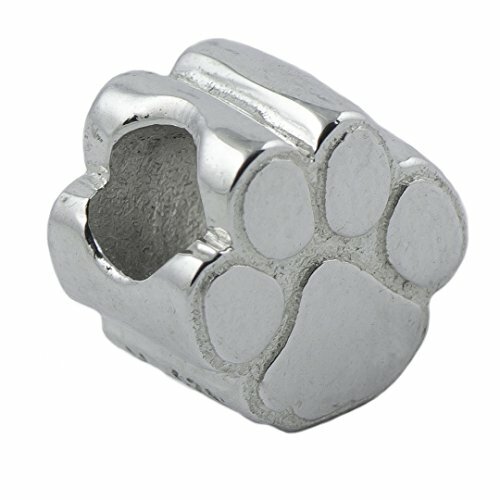 Here is the Paw of all Paws for your Pandora Bracelet. 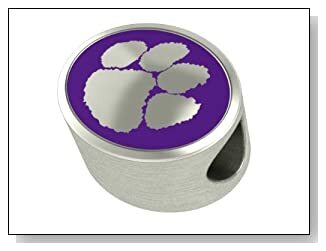 Your Tiger Paw is Purple on one side and Orange on the other. 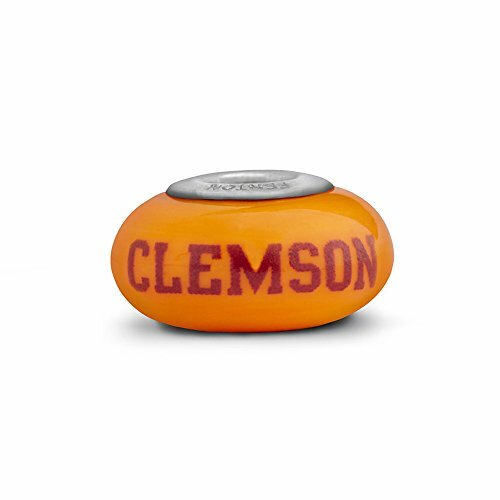 The 1981 NCAA football National Champions have fans filling South Carolina, but more than that, world wide. You can move away from the town, but can't leave the pride. Everywhere you go you will see the logo on shirts and hats as well as bumper stickers and car windows. You can't drive through a neighborhood without seeing a flag hanging from someones front porch. Dedicated, lifelong fans seem to be all that come from there. Pick yours. 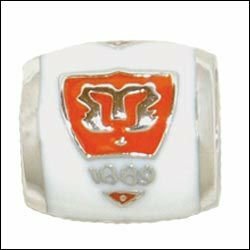 Orange with white or White with Orange. Either way, you are telling anyone who is looking who you represent. Get them both. 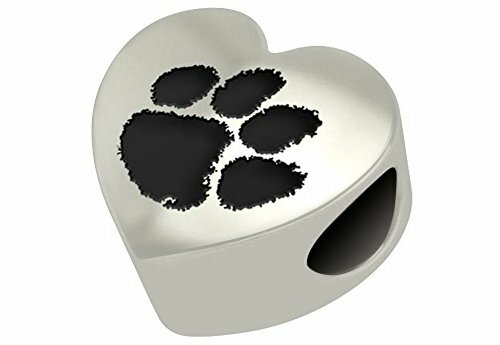 That would make a stand out bracelet. I can't wait until someone sends me a picture of a bracelet with ALL of the beads from here on it. I will make it the headline picture. Talk about a huge fan! You could make an entire set with just what is listed here. How cool would that be? If your bracelet has a color scheme already, no need to worry. 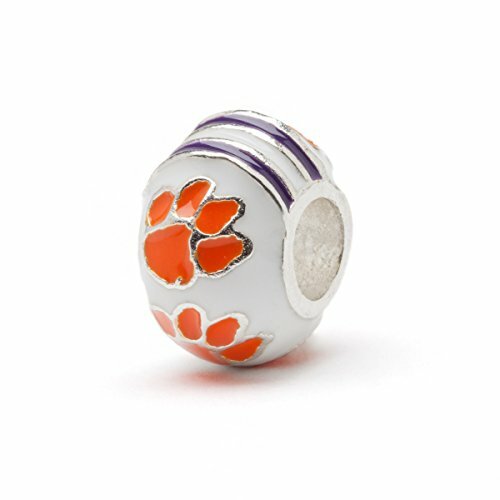 This Clemson Tiger Charm is made to show your Clemson spirit without interfering with your current colors. 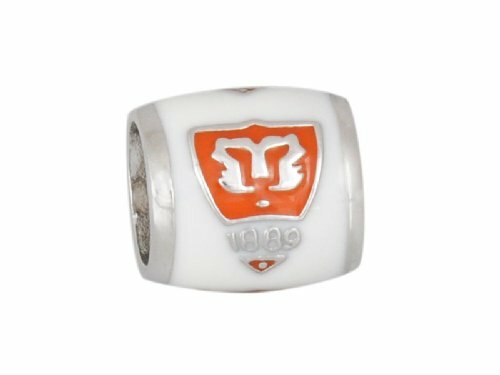 It seems that every bracelet has a theme and if yours is not orange or purple, then you want this one. Sometimes spirit can get in the way of fashion and we can't have that. So pick up this one to add to your bracelet and keep that school spirit flying without interfering with your current fashion sense. 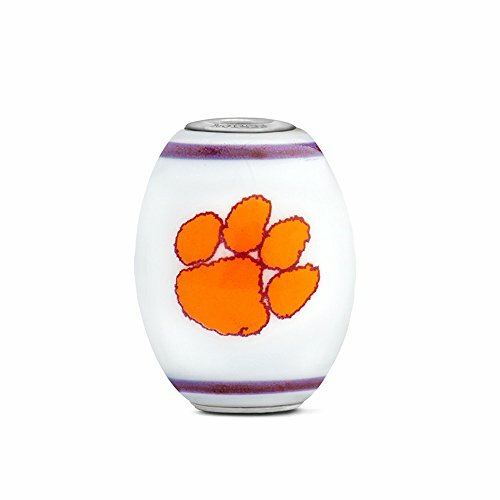 Straight up Clemson Spirit. 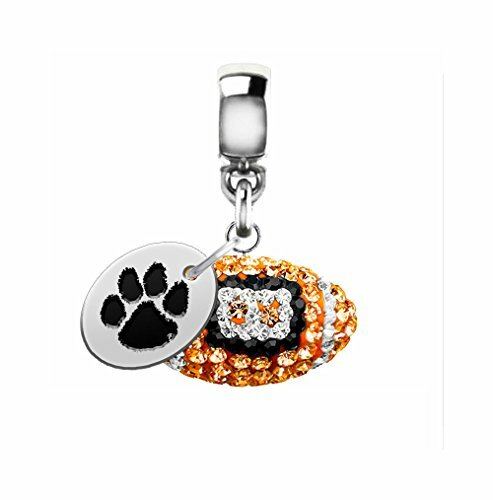 This Clemson Logo charm is the ultimate fan support. 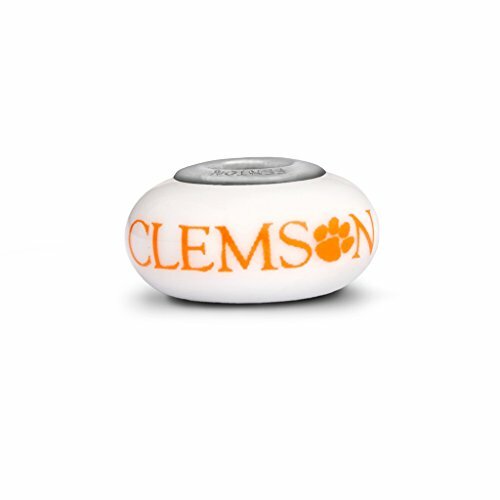 Maybe you are not a big sports fan but still want to represent the school. This is the way. You have the colors and the school logo. This one screams tradition. This school has been around since 1889, that is tradition. So this school isn't just all about athletics, it has a strong academic presence and the pride thhat comes with that.